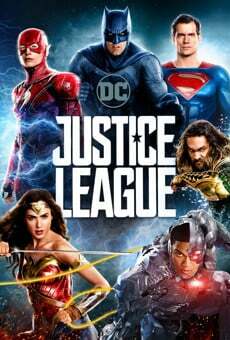 Justice League Part One, 在电影演員: Ben Affleck, Henry Cavill, Amy Adams, Gal Gadot, Ezra Miller, Jason Momoa 和 Ray Fisher. Chris Terrio 和 David S. Goyer. Ben Affleck, Madison Ainley, Jon Berg, Wesley Coller, Marianne Jenkins, Finni Johannsson, Geoff Johns, Daniel S. Kaminsky, Curt Kanemoto, Benjamin Melniker 和 Christopher Nolan. 20th Century Fox 和 Warner Bros..
这是一个免费的在线电影指南，我们不编码或播放任何电视信号，我们不提供免费下载电影或下载电影在线观看免费的能力，只有我们提供了有关2019年的电影（电影节目单）的资料， 在原来的语言最好的电影，字幕和原始音频的电视频道，包括在您的日程安排，并为高清电视和卫星电视用户（ Netflix公司， Telecom公司， DirecTV公司， Netcom公司， 中国移动通信，视频点播， GlobeCast公司WorldTV ）其他有用的资源。 您不能在这个网站下载/在线看电影。 在独立电影和商业电影的电路这个在线信息服务商标均为其各自注册的财产。 但是，请联系我们，如果您认为本网站信息内容影响以任何方式您的合法权益。 (EN) This service does NOT allow download/watch movies online, only offers details about films around the world (text and poster) for TV and Internet users. For any questions, please contact us.